Turn up the heat on your artistic abilities this summer with new The Quarto Group titles! This summer break, discover the great fun and satisfying challenge of drawing with your family! Whether you want to capture the image of a loved one or sharpen your technique, The Quarto Group has you covered. The two books below provide top-notch instruction for beginning artists and drawing enthusiasts. Happy drawing! The instructions are quick visual exercises in Pocket Art: Portraits, the first book in the new Pocket Art series.This lively, graphic approach to explaining concepts will have you looking and learning with step by step illustrations and expert tips straight from London-based artist “Miss Led” (aka Joanna Henly). This compact 112-page book is just right for carrying in a backpack or pocket for when you’re learning on the go. Henly begins by guiding you through your initial set up, then moves on to “Understanding the Face”. 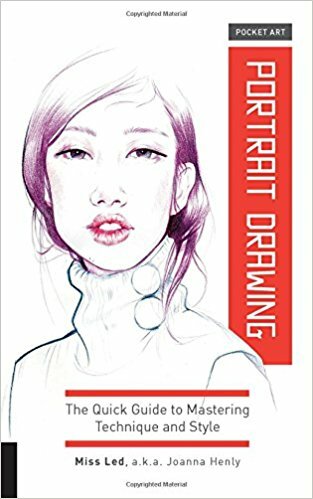 She takes you through every detail of capturing facial features and expressions, and mastering the rendering of hair and skin. Her exercises demonstrate and reinforce everything you learn as you go along. 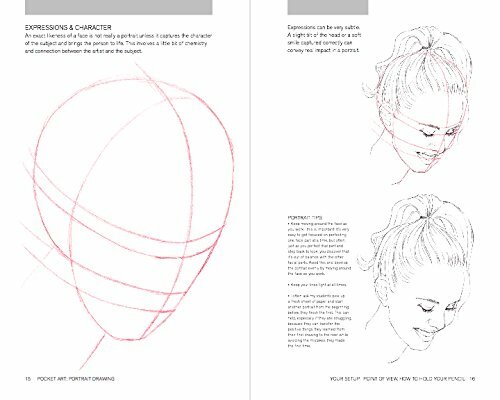 Structured like a traditional drawing class, Drawing School: Fundamentals for the Beginner covers the concepts all serious beginning artists need in order to master basic drawing skills, including form, space, depth, proportion, composition, perspective, and more. To start the exploration, California State University art professor Jim Dowdalls demonstrates how to use the different types of drawing tools, including how to hold a pencil, how to use supports, and how to make a variety of marks and strokes. 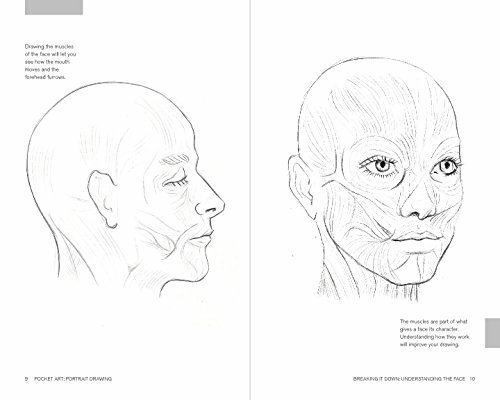 Artists will discover helpful information for understanding value and learning to create a value scale, as well as how to build value in their drawings using various techniques. 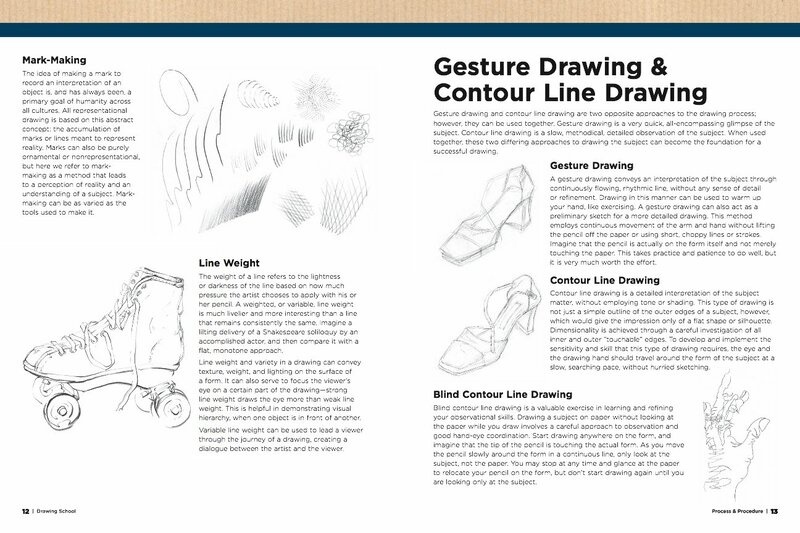 Throughout this educational book, myriad step-by-step exercises and drawing projects encourage artists to put their newfound knowledge to use and practice the concepts and techniques demonstrated. 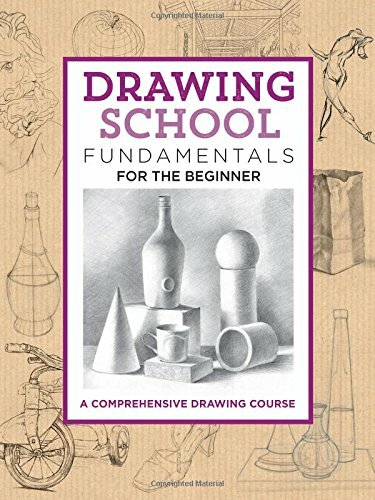 With the skills and techniques they acquire in this comprehensive yet affordable drawing course, beginning artists will be ready to take their artwork to the next level. Filled with beautiful artwork that will inspire budding artists to continue to build and grow their craft, Drawing School: Fundamentals for the Beginner is the perfect place to start a mastery of fine art.